Thank you so much to Pattye, Mike, Ray and Neal for all your work. It is appreciated! Patty, Thank You for your efforts in keeping the community informed. Also, Thanks to Ray, Neil and Mike for stepping up and providing insight to this chaotic situation and representing the community—-something the Business Manager, who is being paid over $180,000, is not doing. As far as the board member who likes to admonish the community with his arrogance if they disagree with him, when you don’t own property in the community, it’s easy toTax and Spend! I invite him to represent ALL of the community and not just select, special interest groups. With that said, you are right Patty, parents, tax payers need to wake up and realize what is really going on with their school district and not fall under the spell, “We’re Number One”. The first thing we need to do is make it a requirement to live within TE, (property owner preferred) in order to be considered The Business Manager…he needs to feel the financial pain that he’s creating to our community, especially the elderly who built this community to be a great place to live. The Business Manager makes $199,000 plus benefits plus gold standard health care. His salary has been raised at rates no one can justify or believe except the Board who rubber stamps it every time the Administration tells them to. This happens all the while he tells tax payers how tight the budget is to the point kids life’s are at risk because he says we can’t afford for school buses to stop off of Old Eagle school road to pick up and drop off students at a safe place. I suggest that ALL residents need to watch the video. Patty’s right, just start at the comment section to hear Mr. Heaberg’s remarks. And then stay with it and hear the board response. The finance chair is unreal and how dare Boyer say that residents who stay to midnight to make comments don’t represent the community. And we elected these people to serve us? Its clear who is running this school district and its not the school board, its the business manager. And the superintendent is totally MIA. What a sham! Years ago I blew a fuse when I learned that the School Superintendent was paid more than the President of the United States. Given the compensation package of the Business Manager plus this egregious lack of fiscal responsibility, I think big questions need to be asked. Who are they serving? And why are members of the School Board letting this slide? When you get your tax bill this situation will call for action from taxpayers. Thanks for your comment Susan — here’s hoping that we move the dial to the taxpayer side in advance of them approving the 6% tax increase. The school board continues to say that they are working on reducing the tax increase yet when given an opportunity to review the impact of the $1.2 million accounting error that could impact our taxes, they don’t seem all that interested. This is a serious situation and as I said in the post, financial experts in the community are trying to steer the board in the right direction, yet their information is dismissed or marginally considered at best. No one needs to take my word for it — I just want everyone to watch the video of the comments. I respect and admire Mike Heaberg (former township supervisor and chair and CEO of an asset management company) and the public needs to listen to him! Mike Heaberg was very well spoken and stated the facts clearly, the board members who were critical were basically not happy that the Board is being called out on this for their lack of transparency. The reading of the auditors statement is typical boilerplate language and was pure deflection – the auditors deemed the $1.2mln ‘non material” , which is probably correct based on the audit being completed and considering the size of the budget. But it still is a material issue for the Board – both for the size of it as well as the procedure that allowed this to be missed. Sounds like Deja Vu and the days of the Facilities Committee being run by the dictator Motel. And a school board director has to ask him to show his work! A sobering comment. This issue was known to at least some in the Administration for over a year before that contract renewal. Would the Board have been willing to enter into this new contract had they known of all the facts that are now emerging? The answer is yes they would have renewed the contract had they known. The Business Manager can do no wrong. This is hardly the first egregious or illegal activity by him over the years. It’s time to take legal action. If there are any attorneys in the district, I hope you look into what legal remedies ae available. We are getting royally shafted by these tyrannical bureaucrats. They think out money is THEIR money. It’s time to put a stop to all the disrespect being shown to taxpayers. I will repeat: In T-E’s CAFR there is enough money to retire taxation forever – we would get control of the money back as we should because it is OUR money! Go to http://taxretirement.com/ , especially actuaries and mathematicians. how would we go about filing a class action lawsuit against the school board so we may be legally represented for their incompetance and wrongdoing? after reading thru everything regarding the meeting and comments above, it seems there is no other recourse. Six concerned parents showed up at the Education Meeting last fall requesting additional funding for the Special Needs Program—-as we all know, they got it. Note-two parents worked on Mr Boyer’s election campaign for the school board. Prior to that, Eight concerned parents showed up at a Policy Meeting to change the food policy for the ENTIRE school district because their kids had food allergies—-they got it. Note-one Parent was married to the Policy Chair. Fifteen concerned citizens show up at a finance meeting to gain understanding and provide feedback on a potential 6% tax increase….the way things are trending, does anyone know the Finance Chair? The sad current trend reflects, you can get what you want at TE, if you are politically connected. It’s no way to run a school district. Thank you! At this point, I’d like to know WHO these school board officials are representing — and how are they protecting our bests interests? I’m truly glad that Mike Heaberg waited until 11:30 PM to deliver his comments so that there is a record of what he said and of the responses from the school board. As you heard from several Board members, Mike was also chastised for waiting for the cameras. It’s hard to hide when the cameras are rolling — remember, there are NO cameras at the Finance Committee meeting. Mike Heaberg did the right thing even though Todd Kantorczyk made a lame attempt to berate Mike for waiting to speak when the camera’s were on. Mike’s points were respectful and FACTUAL. 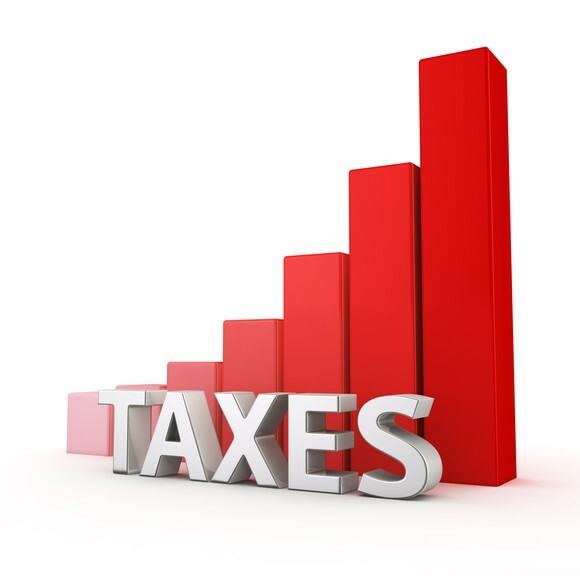 The board is publicly ignoring the FACT that the assessed tax base of property in the district is going UP, which means the projected revenue increase from any tax hike is higher than the absolute tax increase. This is one of the reasons that i don’t have an issue with new REASONABLE redevelopment projects in TE like the Paoli train station apmts (Replacing the hideous office buildings) or the Senior living Facilities (which generally replace run down commercial buildings). They encourage taxpayers to come to meetings and participate, when they do, we are treated like dirt and told that our FACTS don’t matter because we don’t represent the community. The bureaucracy clearly is in charge, shamelessly raising their bloated salaries while preaching about a tight budget and the need for 6% tax increases to an already taxed to death public. Cut the Business Managers salary, the Super. Salary and all the salaries of the bureaucrats around them. That will pave the way for a 0% tax increase. The only way to stop this is to vote the finance chair out. Pattye said he’s running unopposed. If he’s this arrogant and disrespectful now, a new 4 year term in November will only empower him more. An actuary or mathmatician in his District would get plenty of public support. In addition to this travesty regarding our taxes, the questionable behavior of the Business Manager has also cost us valuable time, resources and taxpayer dollars which should have been spent more effectively on behalf of the students. Last year, the public was erroneously told that Special Ed expenses increased by $4.6M (a 22% increase) in 1 year. The public and Board members pushed for a study to understand why. Admin resources were dedicated to examining the issue. In March, the results were presented – based on inaccurate numbers – with no actionable findings. Art McDonnell knew about the accounting error last year but remained silent for months throughout all the angst, discussions and meetings. Only at the end of March’s Special Ed presentation, Chris Groppe mentioned that there had been an accounting error. Thus the increase was actually $2.2 M (more comparable to previous increases). All this time, effort, and TESD resources wasted. If only Art McDonnell had been honest with us. Once again, the cover up is worse than the error! I am surprised that this was not caught in the annual audit, as any knowledgeable auditor should be comparing line item expenses on a year over year basis. So the initial year where the $1.2 mln was not included would have shown a drop in this expense from the previous year, and should have triggered the auditor to ask the business manager for a explanation for the drop – and that should have triggered the question” what’s missing”. I’m guessing there are VERY few line item expenses in the TE school budget that ever go down yoy, so it should have stood out. Several of the board members are explaining away the $1.2M account error by saying “we had a clean Audit so that means nothing needs to be fixed”. This explanation shows the naivete of the board. First, we need to understand that the PA Dept of Ed (PDE) granted the Act 1 exception based on the Annual Financial Report (AFR); not the Audit. PDE never sees the Audit; it is not sent to PDE; it is of no use to PDE; and even if it were sent to PDE the numbers in the Audit could not be used to calculate an Act 1 exception. PDE uses numbers in the AFR to calculate the Act 1 exceptions and the Auditor makes no representation as to the accuracy of those numbers. The Auditor’s signature is nowhere to be found on the AFR document. Only the administration certifies the accuracy of the AFR’s numbers. That would seem to be a problem for whoever signed the certification; especially if they knew of the accounting error. One might ask, “How could the district get a “clean audit” if there was a $1.2M accounting error? The audience for the audit is bond buyers and firms that do business with the district. The $1.2M accounting error just shifted the amount from one fiscal year to the next and would not have a material effect on financial decisions made by bond buyers and businesses. Further, realize that the Auditor has no knowledge of the Act 1 exception process and how a $1.2M accounting error could be a problem. Hence, the Auditor was correct in giving the district a “clean audit”. Thank you Keith — “TESD board members need to understand that the “clean Audit” is not an excuse for inaction on their part” YES! Some on the school board believe that those residents who show up at meetings and stay to midnight to give their comments don’t represent the community. However, there is a building awareness of the proposed 6% tax increase, the District’s $1.2 million accounting error and subsequent handling of information to the public, etc. leading to transparency and governance questions. School board, you have no magic wand and cannot wish away these problems. Inaction is not the answer, you need to act NOW. But I don’t think they are going to act, at least not promptly. This has caught them flatfooted and I think they will continue to take a defensive approach, intimidating actually. What’s the annual budget, $150 million? Would a $150 million company want their company board comprised with individuals possessing our School Board’s credentials? I understand running a school district is much different than running a company – many more and diverse credentials are required to run a school district. However this being said, there is still a business side to running the district, money counts and numbers matter. Yep — money counts and numbers matter! Trying to remain optimistic that the Board will do the right thing. That’s all we want, just do the right thing. You don’t need an MBA from Wharton! Thanks for all the people who stepped up and fight for the accountability of the school board. You all did great job! I sent an email to the school board, just to assure them that what they did and how they behave have already raised a huge concern among many T-E residents! They will not get away with this chaos by ignorance. After watching the video of the budget workshop and the subsequent comments, it is obvious that this school board has authority over matters they have no experience with and shouldn’t control. To the financial experts in the community that are trying to help, we say thank you! To the board member who says they don’t represent the community, I say I’d rather have any one of these experts on the board than you. The responses from some of the school board indicate a complete lack of understanding of the financial seriousness of the situation. I am not certain this school board is actually capable of monitoring the district’s performance, providing high-level oversight, and holding the superintendent accountable. In the reporting structure of the school district, the business manager should be subordinate to the superintendent but it appears that the roles are reversed. The school board has empowered the business manager to the detriment of the superintendent. The Business Manager is in a very powerful position. In my experience typically there is no one in the administration or the board that will challenge the Business Manager due to a lack of school-district-related financial knowledge. There may be school directors with MBAs. There may be a school director with an accounting degree. Maybe one has run a company. But unless someone is willing to dig into the details of PA’s laws, PA’s accounting procedures and PA’s budgeting requirements, the Business Manager remains unchallenged. Some Business Managers are helpful, responsive, transparent and open to criticism. Mine was at Unionville. Others maybe not so helpful. Thank you, Keith, for taking the time to add your expertise to our struggle for transparency and integrity. I hope all CM readers take your comments to heart. I have noted here before that the Board is faced with an especially uphill battle here in T/E, and that the best intentions can be thwarted. There are so many governance and financial reasons why it makes sense for the District to fix the problem and the cover up, and I for one am hoping that Dr. Gusick steps up to the opportunity for leadership. It’s clear the finance chair, Todd, and the Business Manager have this worked out between themselves. The finance chair empowers the Business Manager. Since the finance chaiir is up for re-election, energy spent finding someone to run against him would help most. I listened to the Budget Workshop and I was disturbed that savings from “breakage” was not included in the estimate of expenditures. For those unfamiliar with the term “breakage” it refers to the cost savings when a high salaried teacher earning over $100K retires and is replace with a new teacher earning less than $60K. Historically, “breakage” amounts to about 1% of the $45M total cost for TE’s teacher salaries or about $450K. To put this into perspective we had the board president Scott Dorsey publicly agonizing over whether to increase student fees by $80K when an anticipated savings of $450K was hidden. Why did it take a question from the audience to reveal the unaddressed $450K savings? How can the board make any reasoned decision without full transparency? Why was the $450,000 breakage savings hidden from the public and Board? Did Scott Dorsey know it was hidden? Was it a ploy to try and make overtaxed parents pay even more? What other savings are hidden from the public and possibly the Board? Why doesn’t the Board act on this information? Why is the finance chair, Todd, so close and protective of the Business Manager? Why is President Scott Dorsey so quiet and unwilling to listen and consider what smart, knowledgeable, experienced, citizens have to say? Why are Board Members angry and rude to tax paying citizens they represent and are supposed to listen to? Why won’t the Business Manager hand over the information requested by Board Member Heather Ward? If it was an innocent error, what’s the problem? Why doesn’t the Super. and the Board demand that he hand over the information? Is the Board and the Super. afraid of the Business Manager? Why? Very very clear the Business Manager has enormous power over the Budget and the Board. Why doesn’t the Board bring in experts for a third party, independent transparent audit? It’s so much easier to run a school district when there is a surplus of money to satisfy interested parties. It’s much easier to get a union contract when there is money for above inflation raises. Who wants to anger teachers and expose parents to the threat of a strike? It’s much easier to keep parents happy when there is money for new programs. Who wants to deny three dozen angry parents a new reading program? It’s much easier for school directors to raise taxes rather than agonize over which cuts can gather 5 votes and for administrators to help with underestimated revenues and overestimated expenditures. It’s hard to resist the natural propensity to raise taxes as high as possible. An involved citizenry helps. The new reading program cost less than $200,000. Look what parents had to go through to get that. It’s a pittance compared to the $150M budget. It’s about the union contract. It’s about accumulating an abundance of funds so it appears painless to give raises to already bloated union salaries. The salaries are bad enough, the retirement plans and out of this world healthcare benefits are what is killing hard working families. They must be additionally collecting at least $600k in taxes for the 120 new units in chesterbrook that are selling for at least $600k. Parents pay out of pocket for EVERYTHING. Even art supplies. If your child wants a chance at participating in any activity, it costs parents hundreds but mostly thousands of dollars. Sports are businesses for the teachers/coaches. It’s pay to play. If you don’t patronize their year round clinics, opportunity is extremely limited. We donate and give and give and give. It doesn’t stop. Many who can’t afford it, do it so theirs kids can participate. It’s wrong. As Ray Clarke has says, “There are so many governance and financial reasons why it makes sense for the District to fix the problem and the cover up, and I for one am hoping that Dr. Gusick steps up to the opportunity for leadership.” Although I agree with Ray that it may make sense for the school board/administration to fix the problem and cover-up, herein lies the problem — they have to acknowledge that there is a problem and to date, they are all unwilling to do so. As I said at the school board meeting, finance committee meeting and multiple times in posts — they have to own the accounting mistake, correct it and then we can all move on. We’re at a complete stalemate – not only is there a refusal to admit there IS a problem, we have Art McDonnell not providing the financial impact of the mistake. The taxpayers are caught in the crossfire, held hostage by the business manager. As I have also repeatedly said, both on Community Matters and in school district meetings, the public did NOT elect Art McDonnell, we elected the school board! Does the school board not recognize that the longer this goes on, more residents become engaged which will highlight the serious governance and transparency issues. Negative publicity is never good. By asking Art M. for information, Heather Ward has demonstrated she thinks there may be cause for concern. She is a school board director who is standing up to the Business Manager and demanding accountability, but she has no power. I don’t see the Suoer. standing up to the finance chair or the Business Manager. Find a qualified, willing citizen to run against Todd. Maybe then the Board will vote Heather Ward the finance chair and she can call for an independent audit. To clarify, at the Finance Meeting Heather Ward did ask McDonnell to “show his work” and for multiples times for the accounting impact, but this response was a result of comments from residents at the prior school board meeting and multiple emails from financial experts in the community. Also, Tina Whitlow requested that auditor attend the next board meeting, although McDonnell was not certain that the auditor’s schedule would permit it (how convenient!). Because there is no opponent to the finance chair on the primary election ballot, it would take a write-in campaign. Interestingly, CPA/financial expert Neal Colligan lives in the right district. Not certain how it would work — don’t know how many votes are needed as a write-in candidate in the primary election to then have the candidate appear on the ballot in November’s general election. Maybe someone more schooled in the political process than I am, could answer that question. Just remember that no one board member whether it be the president or the finance chair has any power to do anything. It takes 5 votes to force any action. One would hope that the administrators would want to show their work or make sure a representative for the audit firm was present at a meeting. However, this doesn’t seem to be the case. Heather Ward and Tina Whitlow should be making phone calls to other board members to gather support. Then there should be motions at the board meeting to force debate and get an affirmative vote. Agree. Heather and Tina are freshman on the school board and for reference, it was the third freshman board member who told the residents at the budget workshop that they did not represent the community. It should not matter your position or how long you have been on the school board when it comes to doing what’s right. You are correct, let’s see a member of the school board step up, put a motion on the floor and have an open and honest discussion. The public does not need (or want!) a school board who stands in the shadow of the business manager! Please clarify WHICH UNION you are referring to with your comment about “bloated union salaries “. One of the 7 or 8 who sat through both meetings. Teachers unions aren’t, and never have been, about the students. They spend their time and energy protecting their own power and their members’ jobs, salaries, benefits and retirement. That’s it. Pattye, thank you so much for bringing these issues to light for those of us with young children who are unable to make it to many School Board meetings due to early kiddo bedtimes and lack of nighttime childcare. I am unclear on who exactly the Business Manager reports to? What recourse if any do taxpayers who feel he may not be well-representing the interests of the District have? Is his work reviewed by anyone? The comments to this article make it seem that Mr. McDonnell has an inappropriate amount of control over the School Board. Thank you for your comment. Your perception of the business manager’s role in the school district is accurate. From the school district org chart standpoint, the business manager (Art McDonnell) reports to the superintendent (Dr. Gusick). The members of the school board are elected and serve as the governing body for the school district, placing them at the top of the org chart. At the finance committee meeting, I actually commented to the school board, that the public elected them (members of the school board) as oversight to represent ‘us’, not Art McDonnell, the business manager — that is how ridiculous the situation has become. It has long baffled me the level of power/control (whatever you want to call it) that McDonnell seemingly has over the school board and the superintendent. When there is outrage from members of the public over the $1.2 million accounting error – and the fact that the Art McDonnell kept the school board in the dark for 14 months! – the board chooses to “stand by their man”. I cannot imagine this playing out this way in the private sector! With the taxpayers facing a 6% tax increase, you would think that the school board would want to explore every possible means to avoid/reduce, including the potential impact of the accounting error. But no, many on the board, continue to push back to those trying to help (including a freshman school board member telling us that we don’t represent the community) in favor of their support for the business manager, regardless of the potential tax savings to the public. As a result of the actions (or rather in-actions) of the school board regarding the school district’s $1.2 million accounting issue, a formal complaint was officially filed yesterday with the Pennsylvania Department of Education. The school district, including the superintendent and members of the school board have been notified of the action. After comments/suggestions at various school board meetings in addition to emails and personal discussions, it is remarkable that as residents and taxpayers, we viewed this as our only recourse.